Thank you Telus Spark for the pumpkin! Let’s face it…Life. Is. Crazy. I’ve always been low on time management skills but lately it seems like there is just less time in the day to work with than ever before. 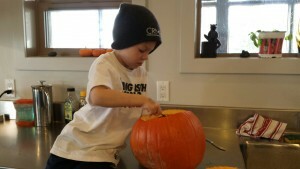 -Carve a pumpkin that was handed to us at the Telus Spark Science Museum. -Buy some boxes of candy to hand out. First, the University of Calgary’s Faculty of Science is bringing Spooky Science to Market Mall. 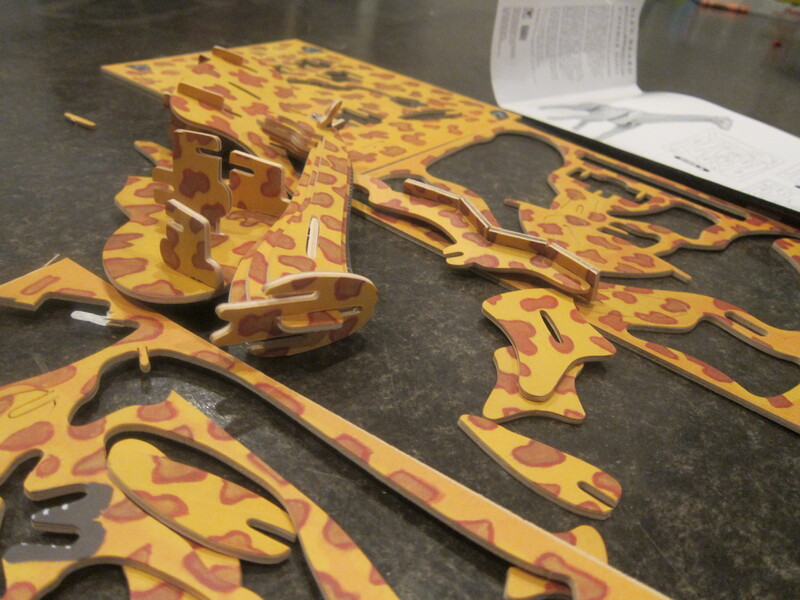 There will be entertainment, hands-on experiments, glass-blowing demonstrations and more! Free of cost and going on until 5pm. 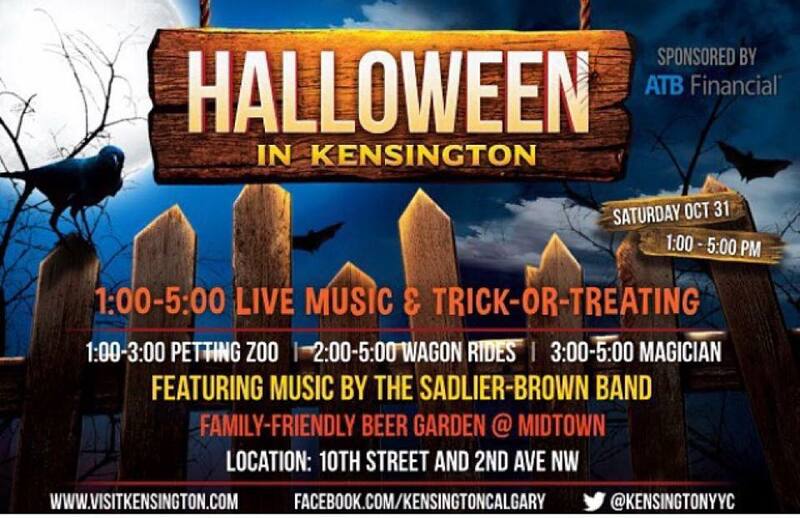 Next, the community of Kensington is hosting their second annual Halloween In Kensington which Max and I thoroughly enjoyed last year. This year they have upped the ante and added in a hay ride to the live music, petting zoo and treats. This event is from 1pm – 5pm. Finally, we will go trick-or-treating with friends and end the night on sugary high! If you are worried about sneaking in some solid, yet delicious, nutrition amidst all the candy, I have a great insider tip for you. Freshii has recently opened in the St. John’s on Tenth condominium building. This is right across tenth street from Safeway and Sidewalk Citizen Bakery. If you’ve never been to Freshii, let me tell you why I like it so much. 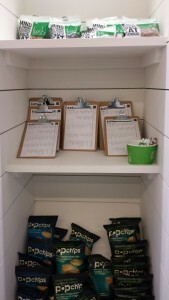 Grab a clipboard and make your custom selections at Freshii! 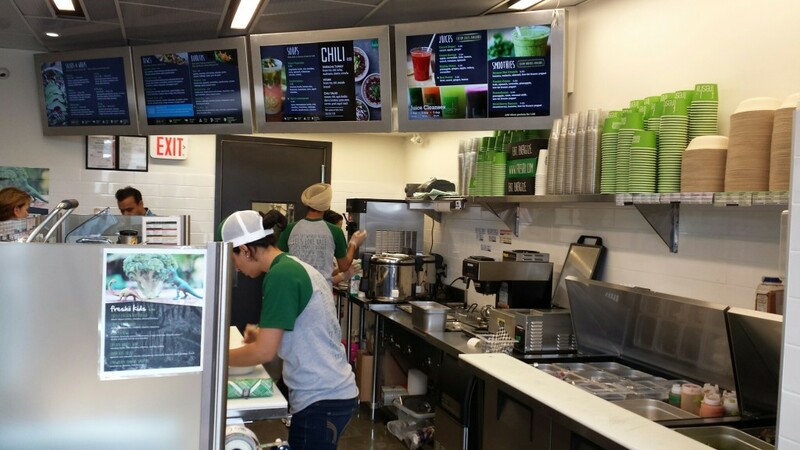 The Freshii menu has custom-made green wraps, salads, bowls, and fresh pressed juices. You can select from the menu of suggested items or grab a clipboard and check off which ingredients you want. Everything is prepared with your health and energy in mind so you don’t even have to think about making healthy choices–the choice has already been made for you. I’ve been excited about Freshii coming to Calgary ever since I tried them in Fort McMurray earlier this year. The Kensington location didn’t let me down. Jagdeep and his brother, the owners, were very welcoming. The interior is bright and welcoming but a little small, probably in anticipation of people ordering their food to-go. -Definitely order their seasonal chili–it’s packed full of goodness and a little spicy. 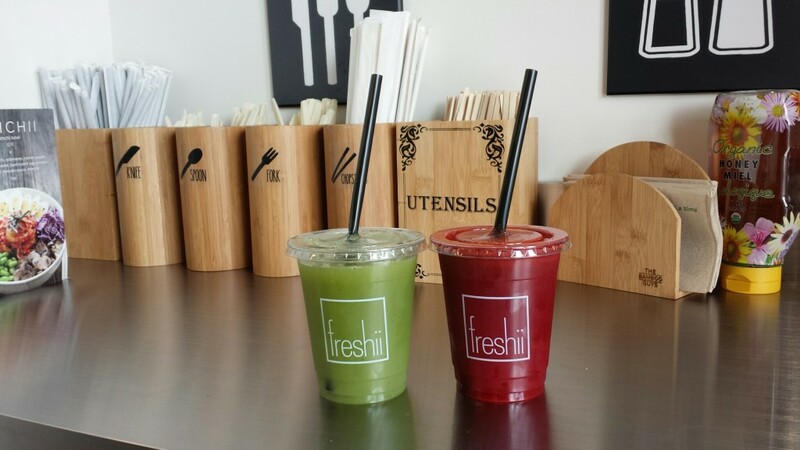 -Their fresh juices, made on-site, are delightful! -If you have special dietary restrictions, this is the place for you. You can substitute kale or quinoa for your bases! -Right now, if you order a Warrior Bowl, proceeds go towards building school kitchens & vegetable gardens in developing countries! 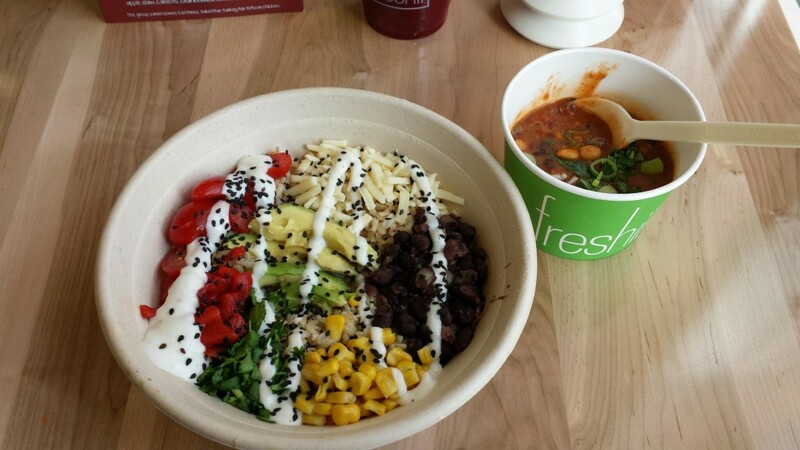 My custom bowl at Freshii Kensington and a side of Chili! That’s my stress-free Halloween! Hope you have a good one too!